It is possible to retrieve all the passwords stored on your computer in minutes. There are even two methods for you to recover, you can also export them all in the blink of an eye. If you use many browsers, the WebBrowserPassView utility will allow you to retrieve passwords stored on these browsers at the same time: Internet Explorer, Mozilla Firefox, Google Chrome, Safari, and Opera. Since there are several web browsers, one will not be able to stay there to study one by one. So we'll see a tip that will allow us to find any password saved on any browser. 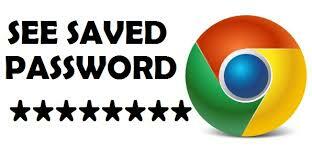 1- On your Chrome browser, go to the page of the website whose password you want to retrieve. 2- After entering the username, the password appears as points. 3- Then, to display the password, right-click on the password field and click on inspect the item . 4- On the frame of the source code, look there or it is written type = "password ". 5- Replace password by text . 6- Finally, look at the password field, you will see that the password is displayed in plain text.